I have been using my voice way more now that I am a preschool music teacher. I quickly discovered that I need to save it so I can use it for other things such as talking and singing with my family and leading worship. 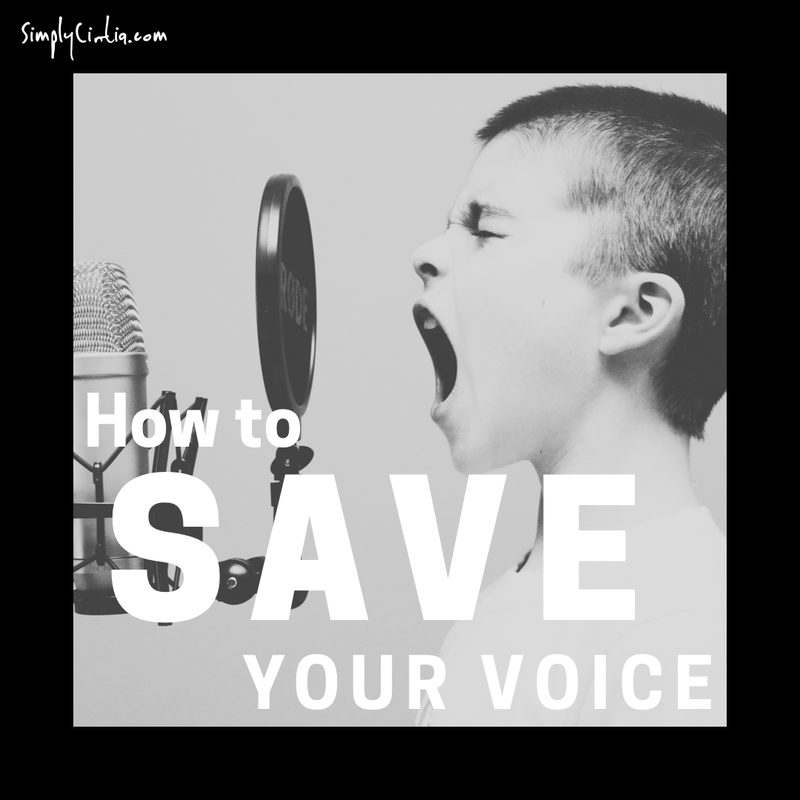 Here are a few tips that can help you save your voice. 1. Get some Rest - this is also a good tip for recovery if you have lost your voice. Sleep the correct amount of hours. Take a vocal break during the day. Even if you have to hide, it's worth not using your voice for 15 minutes or so. Rest is something you can't put in a pill, you just have to do it. 2. Drink plenty of water - I read this article and learned that when you drink water your vocal chords get hydrated. It makes sense because when you are thirsty your voice sure does change. Interesting! 3. Communicate Creatively - I learned that although I couldn't speak as normal, there were other ways to communicate. I was amazed that I never had to raise my voice but that everyone paid attention and followed directions. I saw by example that I have many different ways to communicate other than my voice. Body movement is one way to communicate. Every time I sat down, everyone did the same. Hand movements were the same way. I know that if you teach science you won't be using hand signals but think about different ways you can communicate other than using your voice. 4. Amplify - if you can use a microphone or a speaker, you totally should. I can't but I do use it to my advantage when I can. Another thing I learned to do is NOT to wear out my voice during rehearsal. It makes no sense to scream myself happy before an actual performance. It's all about gradually using my voice without damaging it. If you have any issues you don't understand, visit your doctor and get a specialist opinion. 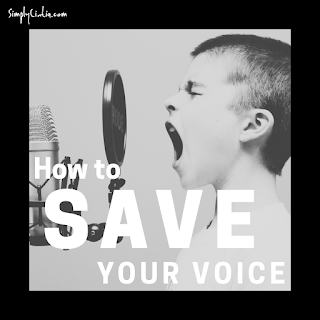 The goal of this post is not to substitute medical advice but to provide you with tools to aid in the better stewardship of your voice.